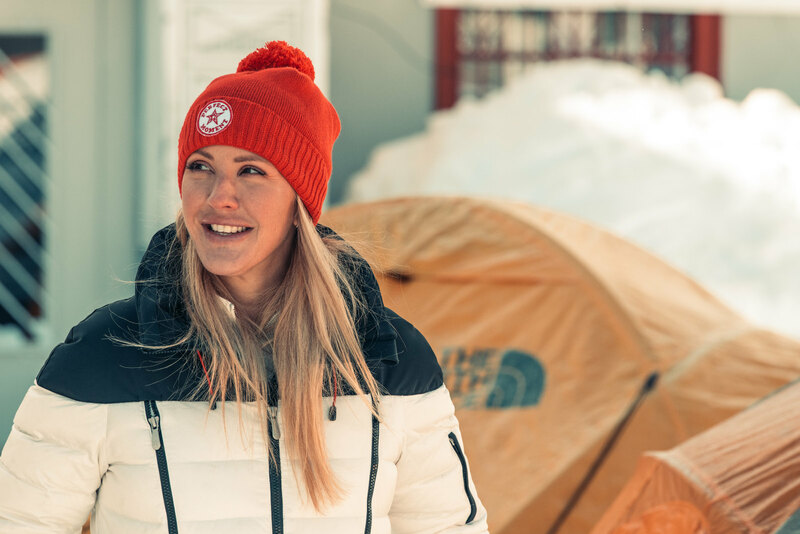 It wasn’t just political leaders who attended Davos: Ellie Goulding added her voice to Arctic Basecamp, a consortium of scientists and experts concerned about the changes in the Arctic. Goulding brought coffee in reusable rCups to members of Arctic Basecamp at Davos. Each year, members of Arctic Basecamp “camp out” for the duration of the WEF annual summit at Davos to warn others about the changes in the Arctic, which signal risks to the planet as a whole. The group hosts events and briefings by the Hotel Schatzalp in Davos. The Arctic Basecamp venue, this year with scientists led by Lancaster University’s Prof Gail Whiteman, replicates a real field study camp. The group saves money on hotels and prefers to spend it on research, so the camp is not a mere gimmick. ‘We know that what happens in the Arctic doesn’t stay in the Arctic: the loss of sea ice affects us all so it is crucially important they are here at Davos. In particular the melting of Arctic sea ice will make life very difficult for younger generations. I’m here to make sure that action is taken on their behalf and that we remain ambitious for their future,’ said Goulding. Goulding has been passionate about the environment, and has been recognized by both the UN Foundation and UN Environment, for which she is a goodwill ambassador.